Hamas leader Mahmoud al-Zahar: "March of the Return" processions shows the Palestinian decision will remain in our hands. Senior Hamas leader Mahmoud al-Zahar said on Thursday that the “March of the Return” processions in Gaza sent a clear message to all sides that it was impossible to implement the "deal of the century", a reference to the peace plan being put forward by the Trump administration. 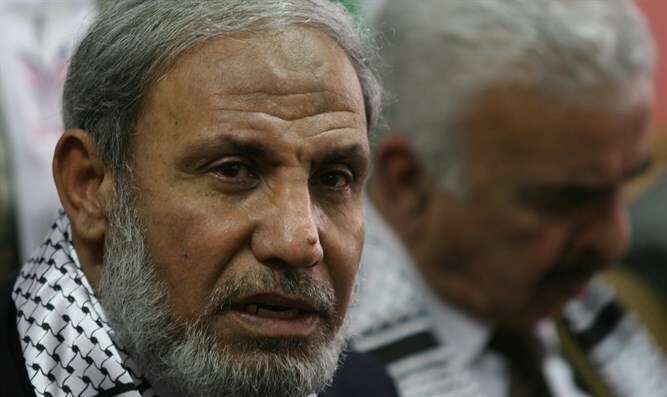 Speaking at a conference in Gaza, Zahar said that the processions demonstrated that the Palestinian decision would remain in the hands of Hamas and the resistance organizations until the liberation of “Palestine”. "The attempt to instill fear in the lives of the settlers has already done its part, and if we look at what is happening around us, we will find that they fled because they are thieves, and what happened to them will happen in the north of the country as well," Zahar said. "The blood of the Palestinian people, spilled on this land, will go from here to Jerusalem,” he vowed. The riots have been openly encouraged by Gaza’s Hamas rulers. Palestinian Authority (PA) chairman Mahmoud Abbas also welcomed the marches, claiming they are a means of “peaceful resistance”.